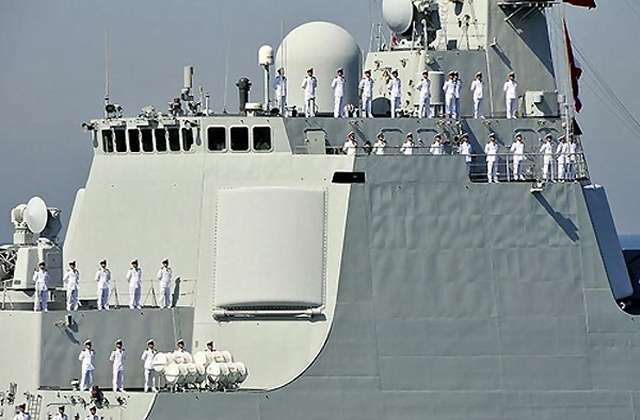 The Type 346 is an operating in F/G-Band dual-band multimode radar installed on Chinese Type 052C Luyang II-class destroyers. The radar is named as the “Star of the Sea” by the owner, and got the NATO-designator “Dragons Eye”. The radar system uses four fixed faced phased array antennas comprising 1 524 transmitter-/receiver modules and is similar to the AN/SPY-1. The F-Band channel is used for surveillance, and the G-Band is used for missile guidance. The Type 346A radar is projected as its replacement and is fitted with more active transmitter-/receiver modules and has got a larger in size aperture than its predecessor. This will led to presumably longer detection range (up to 400 km) as well as improved performance against a wide range of potential threats.